There’s no shortage of people in the Rio Grande Valley who are the very definition of good neighbors. They enrich our lives, offer help to those who need it and inspire others to follow their examples. They’d be the first to say that they don’t do such deeds to garner attention; they merely see a need and work to address it. Others, however, believe their stories deserve to be told. So do we. That’s the motivation behind our annual campaign to tell those stories, and to select the RGV Citizen of the Year. 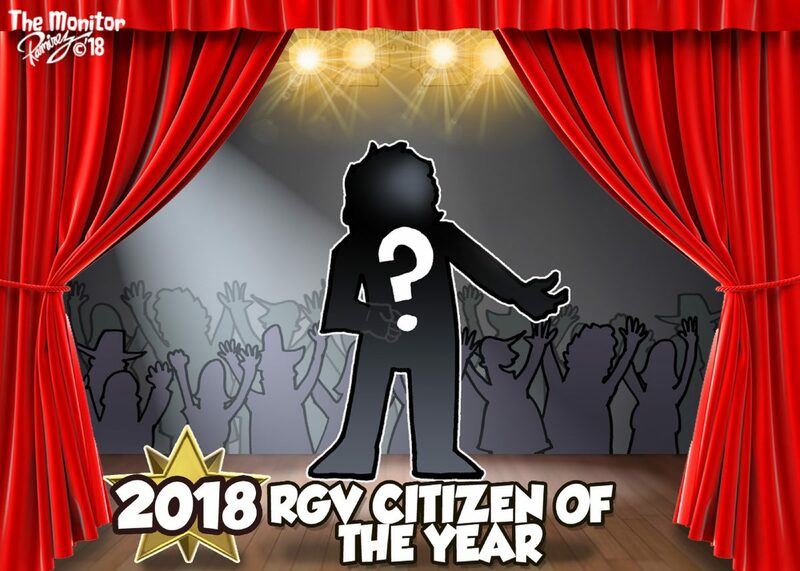 Readers are invited to send nominations beginning today to the campaign sponsored by AIM Media, parent company of The Monitor, Valley Morning Star, The Brownsville Herald, El Nuevo Heraldo, Mid-Valley Town Crier and Coastal Current. Response to the campaign has been exceptional; last year alone we received more than 260 submissions nominating more than 80 different people. And those nominations, and the people our judges have chosen for previous awards, show that anyone can be a great citizen, regardless of age or status. They can be like last year’s Citizen, Esmeralda Leal, whose Capable Kids Foundation sponsors and adapts sports and other activities for children with disabilities, or like 2016 honoree Robert Vackar, whose $15 million donation was a major boost to the University of Texas Rio Grande Valley in its first years. They can be high profile, like our inaugural top Citizen, Sister Norma Pimentel, whose work tending to the needs of the thousands of Central American refugees who came through the Valley in 2015 drew notice from Pope Francis himself, or more focused, like 2017 runner-up Crystal Pacheco, an Edinburg first-grader whose letter to Santa inspired a campaign to provide blankets and toys to dozens of needy children. As these people have shown, there are many ways to be a good citizen and benefit one’s community. Other nominees have run the gamut from public officials to environmental champions, from high-profile professionals to neighborhood volunteers. If you know someone who has helped our Valley community and deserves recognition, submit your nomination before Dec. 20 to citizen@themonitor.com. Please limit your submission to 650 words or fewer, and include a photograph of the nominee. We will publish the letters and nominees’ names will be added to an online poll through which the public can give our judges feedback on public support for the nominees. AIM Media officials will select the 2018 Citizen of the Year, with evidence presented in the nomination letters and poll results factoring in to the final result. We will announce the Citizen of the Year, with possible runners-up, on Dec. 30.